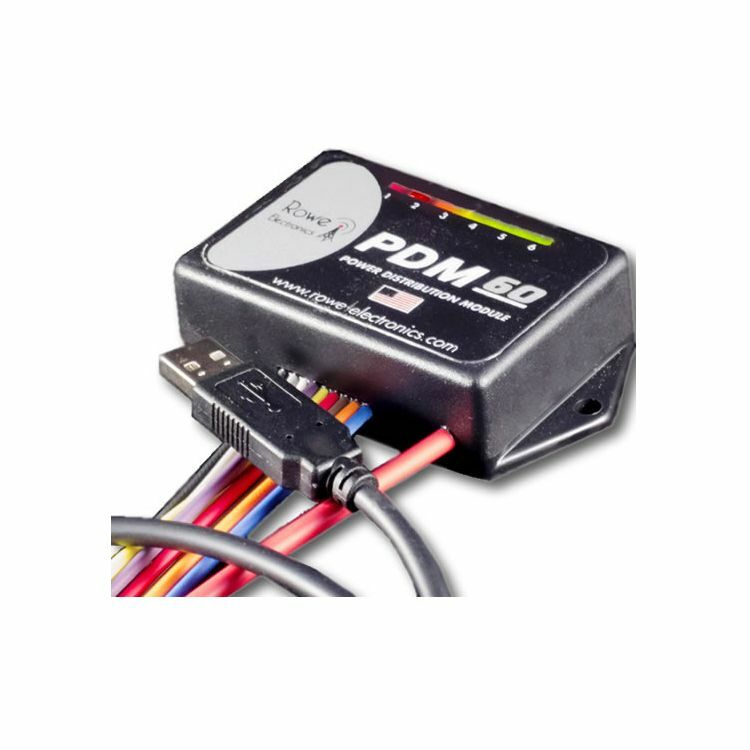 The PDM60 provides 6 individual circuits, with a total load handling capability of 60 Amps. The unit is designed to connect directly to a primary (12V) power source (vehicle battery), and efficiently power, protect and monitor the supply of power to your electrical/electronic devices. You are also able to create your own custom configuration, and load it into the PDM60 using a PC/laptop via the programming dashboard and custom programming cable. You’re able to configure individual circuit amperage limits, individual circuit triggering methods, circuit delay activation and delay off settings. The PDM60 has been built with components selected for superior power management capability, and extended service life. It’s designed with one goal in mind: to provide years and years of superior, hassle free performance. The PDM60 unit is fully encapsulated to protect against rain, dust, humidity, etc. Whether it’s Motocross, or cross-country via interstate, these units are built to last under the harshest of conditions.